← Abalone Pearls – Can They Be Legally Bought and Sold? 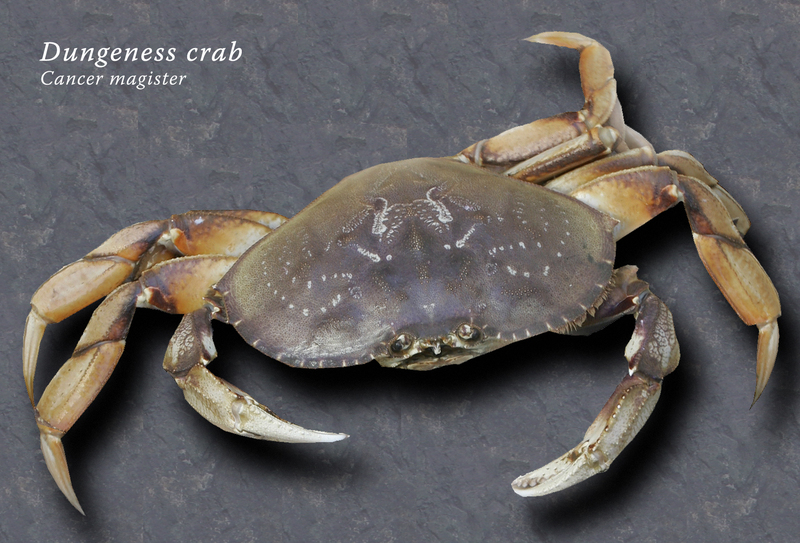 Dungeness Crabs – How Dead Is Too Dead? Answer: Ideally, it’s always safest to keep the crabs alive until you’re ready to put them directly into the cooking pot. To keep them alive for transport, the crabs should be kept cool, moist, covered with fresh seaweed, and then covered with a soaked burlap bag on top. You should be able to keep them alive overnight (and maybe longer) this way, but I wouldn’t push it. To keep them alive for several days, you’ll need a well-aerated saltwater tank, ideally with filtration. Without good aeration and filtration, low dissolved oxygen becomes an issue, and as the crabs urinate in the water (turns bluish), without filtration the meat will slowly spoil. As far as how long the crabs will remain edible after dying, I wouldn’t wait longer than an hour or so to toss them into the boiling pot. Once crabs die, the meat starts to decompose if not cooked quickly. One reason is because when the crab dies, its mid-gut gland (the source of food digestion enzymes) is soon attacked and damaged by those same enzymes, and then the enzymes spread out into the muscle tissue, breaking it down into mush. Yuck! Bottom line … Dungeness crab are one of California’s most delicious and popular seafoods, and they are always best enjoyed when kept alive until ready to drop into the cooking pot. How to buy wildlife mounts to decorate a cabin? Answer: It is legal to go to states that allow such transactions so long as a declaration of entry for those mounts is made when you bring them back to California (Fish and Game Code, section 2353). Wildlife mounts from wildlife found in the wild in California, however, can only be given to others – they cannot be bought, sold, bartered or traded (Fish and Game Code, section 3039). No money or compensation can be exchanged. There are no such issues with wild animals not found in the wild in California (such as caribou or moose) as long as they are not protected under other laws, such as the Endangered Species Act. People often ask us what they can do with mounts they no longer want. We often suggest donating them to schools, stores or community service clubs (e.g. Rotary, Lions, Scouts). You might check with some of these organizations to see if they have any wildlife mounts they no longer need and might be interested in giving to you. Can I use frozen trout for bait in San Francisco Bay? This entry was posted in Buy/Trade/Sell/Gift, Food/Health, Info, Methods Of Take and tagged ammunition, archery, crab fishing, crustaceans, firearms, fishing, freshwater fishing, invertebrates, regulations. Bookmark the permalink.